Sen. Mazie Hirono giving the keynote speech. She is Hawaii’s first female senator, the first Asian American woman in the Senate, the first senator born in Japan, and the first Buddhist senator. Previously a member of the House of Representatives, she took office in January. 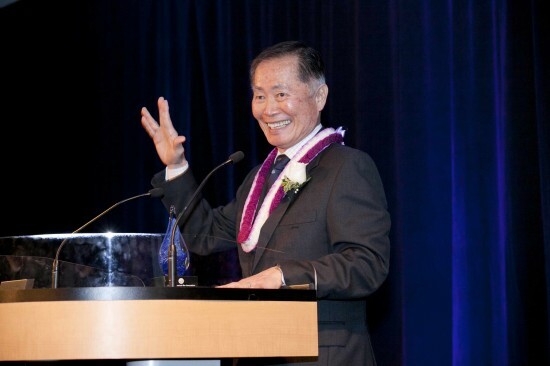 Community Service Award recipient George Takei gives the Vulcan salute. He has used his fame from “Star Trek” to educate the public about the internment of Japanese Americans, most recently through the musical “Allegiance,” and to advocate for marriage equality and other LGBT issues. The Japanese American Bar Association (JABA) held its 37th annual installation and awards gala, titled “New Frontiers,” on Feb. 22 at the Omni Hotel in downtown Los Angeles. 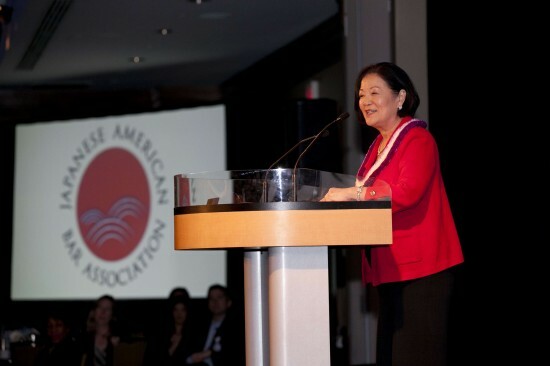 This year’s gala featured keynote speaker, Sen. Mazie K. Hirono (D-Hawaii); the Public Service Award recipient, Los Angeles County Alternate Public Defender Janice Y. Fukai; and the Community Service Award recipient, actor and community activist George Takei. David Ono of ABC7 Eyewitness News served as emcee. “The JABA Gala is an annual event where the Japanese American legal community, friends, and family get together to have a good time and enjoy hearing from trailblazing leaders in our community,” said JABA President James Toma. “We were privileged to hear from such inspiring leaders. Their commitment and passion for social justice was supremely evident. 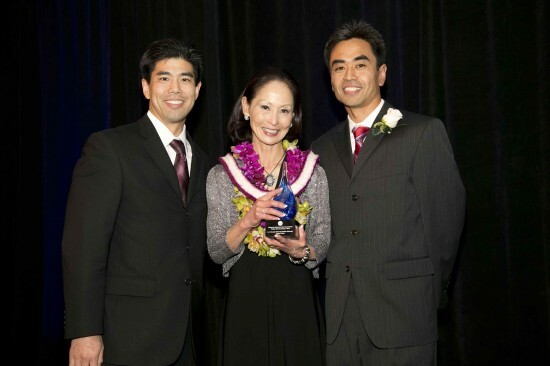 From left: Deputy Alternate Public Defender Mark Hanasono; the Public Service Award recipient, Los Angeles County Alternate Public Defender Janice Y. Fukai; JABA President James Toma. 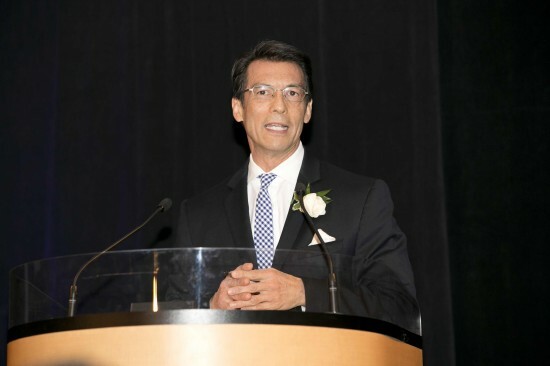 Award-winning KABC news anchor and reporter David Ono served as emcee.